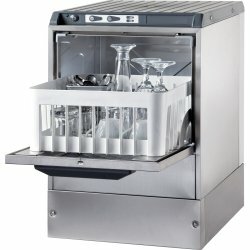 Table Top Bains Marie & Hotpots at Adexa Direct - a leading supplier of catering & kitchen equipment in the UK offering the largets range, free shipping and unbeatable prices. 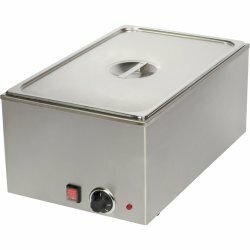 This professional wet bain marie is the ideal catering appliance for keeping large batches of food w..
Commercial hot pot bain marie with 1 pot of 6.5 litres.Temperature infinitely adjustableTemperature ..
Commercial hot pot bain marie with 2 pots of 6.5 litres.Temperature infinitely adjustableTemperature..
Commercial hot pot bain marie with 3 pots of 3.5 litres.Temperature infinitely adjustableTemperature..
Commercial hot pot bain marie with 4 pots of 3.5 litres.Temperature infinitely adjustableTemperature..
Keep your food hot and appealing with this hot bain marie food display cabinet. A perfect companion .. 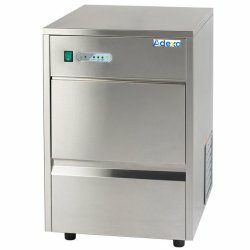 This commercial water bath is a premium heavy duty item, designed to provide a reliable, consistent .. 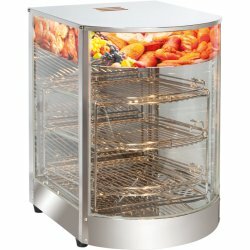 Compact and convenient, this professional food steamer allows rapid steaming of vegetables, seafood,..